Bob Crowther knows the difference between bad news and really bad news. 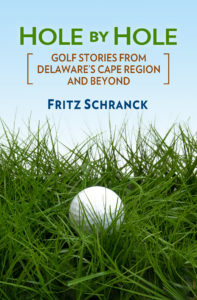 Crowther, the long-time head professional at Cripple Creek Country Club near Ocean View, Delaware, recently discussed his health problems and his ongoing recovery from major surgery. The trouble started about a year and a half ago. The 6’1″ golfer, who weighed a comfortable 200 pounds, was running to stay in shape. He ran a few 5K events, and even thought about entering the occasional marathon. “I began having these big changes in how I’d feel. Some days I’d have no problems with running 10 or 15 miles, and on other days it was all I could do to get out of bed,” Crowther explained. Unfortunately, a series of doctor visits produced a wide range of possible reasons for his difficulties. “We finally went back to my family doctor. He performed a complete physical, and he discovered a lump in my neck,” Crowther said. That lump needed checking, especially since it was getting larger. Crowther traveled to Johns Hopkins Hospital in Baltimore, Maryland for major surgery. “Fortunately, the biopsy after the surgery showed that the nodule was non-cancerous, which was the good news,” Crowther noted. Things were certainly easier when he started out in golf. Crowther graduated from high school in Wayne, New Jersey in 1979. The avid golfer was also an accomplished skier, and was on the developmental squad of the U.S. Ski Team for a while. Crowther joined the Marines, and was stationed at Camp LeJeune. After his discharge in 1984, he used his skills at golf and skiing by working for the Whiteface Mountain Resort in Lake Placid, New York. He then began a stint as an assistant golf pro at the Country Club of Ithaca, in New York. Crowther’s work for better relations between golf professionals and the clubs for whom they work has gained notice. He’s twice won the Philadelphia P.G.A. Section’s annual Bill Strasbaugh award for his efforts. Shawnee Country Club will host a “Meet the New Golf Pro” night for its members at the clubhouse on March 1, 2002 from 6 to 8 p.m.
Devon Peterson, a Class A P.G.A. professional, begins his new job at Shawnee that day, after years of experience at Atlantic City Country Club and other New Jersey courses.